Homemade Bird Food - Two Easy Recipes! Mix all ingredients together in a bowl.. Roll into balls and place on a feeder or place in a suet cage. They look like little cages, some are bigger than others, that the birds land on and pick through the holes.. and you can hang this from a tree or your feeder. or you can simply roll them into balls and place on a platform feeder, the larger birds will enjoy that too! I personally roll them into balls and place on open platform feeders. 2. Premium Wild Bird Food - This is the Ultimate Homemade Bird Food Recipe! 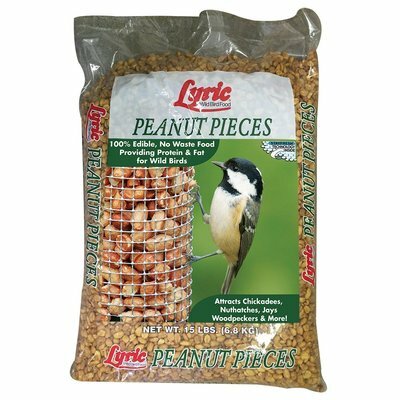 If you have the time, try and make this great homemade premium bird food..it does take more ingredients, but the birds will flock to your yard and spread the word about the great party buffet you are offering! 1 x pound striped sunflower seeds, hulls still on. 1 x pound black oil sunflower seeds, hulls still on..
1 x pound dark raisins, dried blueberries, apples or other dried fruits chopped.. In a hurry? You can get all ingredients online below, just click on the picture and have them delivered to you! 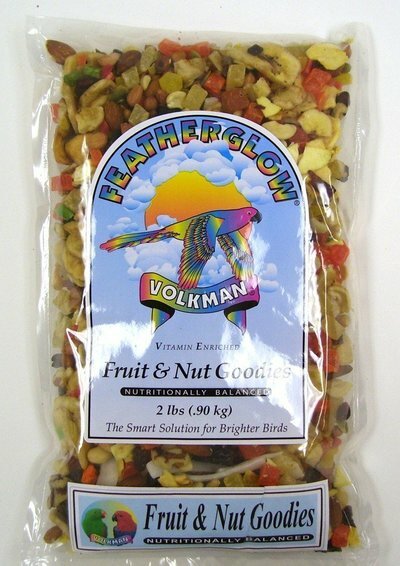 In a rodent proof metal container with a tight lid, mix together the striped sunflower seeds, the black oil sunflower seeds, peanuts, fruit and the cracked corn and store in a cool area, such as the garage, or basement..
store the mealworms in the fridge according to the package instructions. 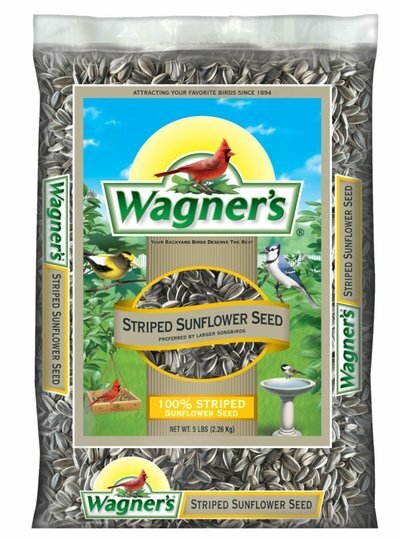 Spread one or two scoops of the seed mixture onto a tray or platform type feeder and sprinkle with fresh mealworms... this is an amazing treat for your backyard feathered friends! 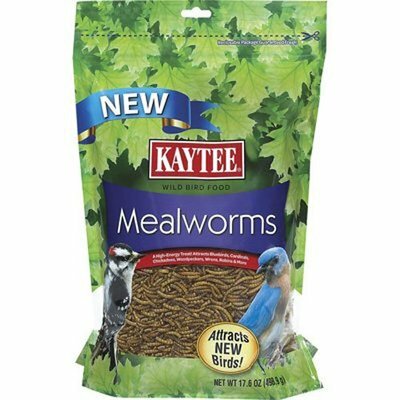 Go One Step Further and Order Live Meal Worms! If You Are Super Motivated and not too Squeamish... You can Order LIVE MEALWORMS!! You can get live mealworms online. 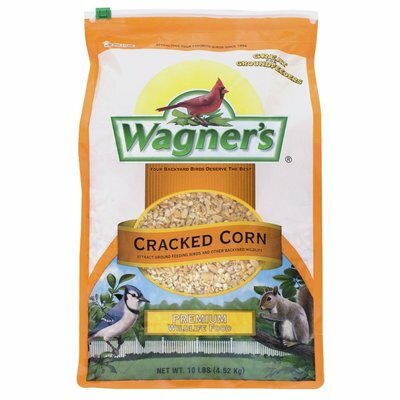 So if you really want to spoil your backyard birds with some awesome homemade bird food then don't skip this ingredient. You will attract all kinds of birds quickly! You can get these online at Amazon and then you don't have to try and source them at your local pet food stores. They will be delivered to you! This is the best rated platform feeder. It is made in the USA of 90% recycled post consumer plastic, and the screen is coated for longevity. At this writing, there were 333 5 star positive reviews. You won't go wrong with this platform feeder especially for the first recipe on this page where you can place rolled up homemade bird food for your fine feathered friends! If squirrels are an issue, you can feed them separately with their very own feeders. As a bird lover and squirrel lover I learned a long time ago, you will fight a losing battle with squirrels if you try to keep them away from your bird feeders, check out my backyard squirrel site to create peace and harmony in your yard. But it doesn't hurt to make the bird feeders a little more difficult. This is another platform feeder that has a dome so squirrels can't access it from the branch above. This is an awesome platform feeder that will feed all different sized birds, which can create lots of activity in your yard. This one has a dome to make it harder for the squirrels to leap down from the branch above if you hang this in a tree. I know this page is about making your own homemade bird food, but if you decide you don't want to go down that road, then the next step would be to invest in quality bird food that does not contain all the fillers that none of the birds like. That is all those seeds you see laying at the bottom of your feeder. You want every seed to be eaten. Bird watching can bring hours of fun and enjoyment to the whole family, and can teach children valuable lessons about nature.. This very easy and much cheaper version of homemade bird food, I feel is better than store bought, and you will attract many beautiful birds to your backyard, with less filler. 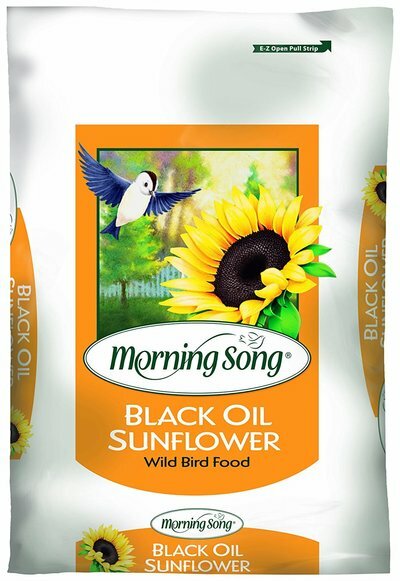 Many commercial bags of bird seed may be cheaper but have lots of filler, that piles up at the bottom of the feeder or cakes on the feeder. If you make your own, or at least purchase a quality product you won't be faced with caked on food or a waste pile at bottom of the feeder. Either recipe above is great for your fine feathered friends... You can enjoy creating homemade bird food that is safe and healthy for them. Your friends and family will want to know your secret bird food recipes! I have found online to have more variety and cheaper! You can find many of these items in grocery stores but you can also find them online at Amazon and get them delivered to your door. Check out the rest of my pages. As a bird lover I have done much research and found all kinds of fun ways to attract birds without breaking the bank. Enjoy! homemadebirdfood.com is a participant in the Amazon services LLC Associates program, an affiliate advertising program designed to provide a means for sites to earn advertising fees by advertising and linking to Amazon.com. homemadebirdfood.com may also contain other affiliate links that if clicked on and a sale is made, the owner of the website may received advertising fees or a commission for sales made.